12-week wellness nutrition & lifestyle program delivered online. Availability: In stock Size: N/A Category: Nutrition. Sick of feeling flat and sore? Want to change what you eat but don’t know where to start? Our Wellness Program is designed to take you through our Happy Biome nutrition and lifestyle principles over the course of 12-weeks. During the program you will be asked to make changes in your diet and lifestyle, such as getting rid of refined sugar and bad fats, caloric liquids, and preservatives and additives. During the 12-weeks, you will be armed with educational information, relevant recipes, tips and advice for implementing the Happy Biome nutrition and lifestyle principles into your life, as well as weekly and daily tasks and challenges to keep you motivated and on track. Over the course of the 12-weeks, you will implement our nutrition and lifestyle principles gradually into your life. We have found that this is a sustainable way of making our Happy Biome principles part of your every day life – for good! This is not a fad-diet or a quick-fix ”weight loss’ program. This is a way of life for optimal health and wellness. We know that the program will inspire you to make real, lasting changes in your life! The program will take place at this online platform, and will be monitored daily by our coaches. Our coaches are there to encourage you and to answer any questions or concerns that you might have. You will also be motivated by other participants in the program. You will not be alone in this journey! 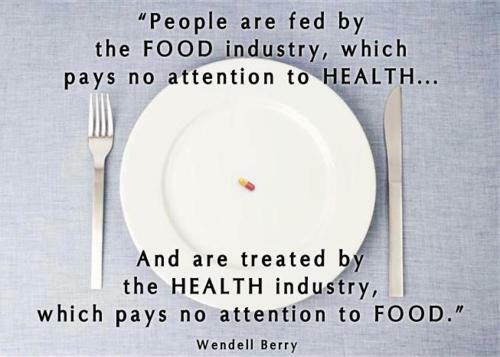 If you would prefer in-person support as well, feel free to book in for a nutritional medicine consultation. Our Happy Biome Wellness Program advocates REAL food. Vegies, meat, good fats, some fruit, nuts and seeds, whole-fat dairy if you can tolerate it. Foods that are anti-inflammatory. Foods that heal the gut and fuel the body. We also lay great importance on quality sleep and stress management techniques. Both are essential for wellness, and play an important role in good nutrition. We do not advocate meal replacement. Almost all packaged ‘weightloss’ shakes and pre-made meals and snacks (think Isogenix, Jenny Craig, Weight Watchers, etc) are filled with inflammatory foods such as bad fats, processed soy and sugars. While you may ‘lose weight’ on these programs, they are not healthy; they will do damage to your body in the long-run, leaving you with fatal illnesses such as cancer, diabetes and heart disease. Plus, many of these ‘diets’ are not sustainable…What happens when you stop purchasing Isogenix or Jenny Craig? You’ll no doubt stack the fat back on and leave your hormones all out of whack. We believe that if you are eating quality food, as outlined in our Happy Biome Wellness Program, you will receive all the nutrients that you need. By adhering to our principles, you will feel more vibrant, have boundless energy, acquire better health and prevent yourself from developing fatal illnesses – and, to top it off, you will look great!